Why do people spend as much as R10000 on an energy efficient window, yet R400 or less on cheap, aluminum blinds to cover it? The answer is actually in the question: because they’re cheap. But the saying, “You get what you pay for,” rings true, especially when it comes to window treatments. On the high end, custom blinds can cost you up to R2500 each. In this ultimate guide to quality blinds, we’re going to break down why they’re worth it. For some, money is no object but for the rest of us, we are conscious of how much we spend. This is why DIY programs are popular; if we can cut out the middle man and do it ourselves, we’ll save money. That’s the theory, anyway. The reality is that saving a few bucks now costs more in the long run. Cheaper prices often mean cheaper quality all the way around. One of the reasons quality blinds last longer is the installation process. Hanging blinds is a lot tougher than it looks! You can damage the blinds or your window in the process. When you buy custom, quality blinds, a professional will install them for you. You won’t have to worry they’ll fall off the bracket the second you try to raise them. 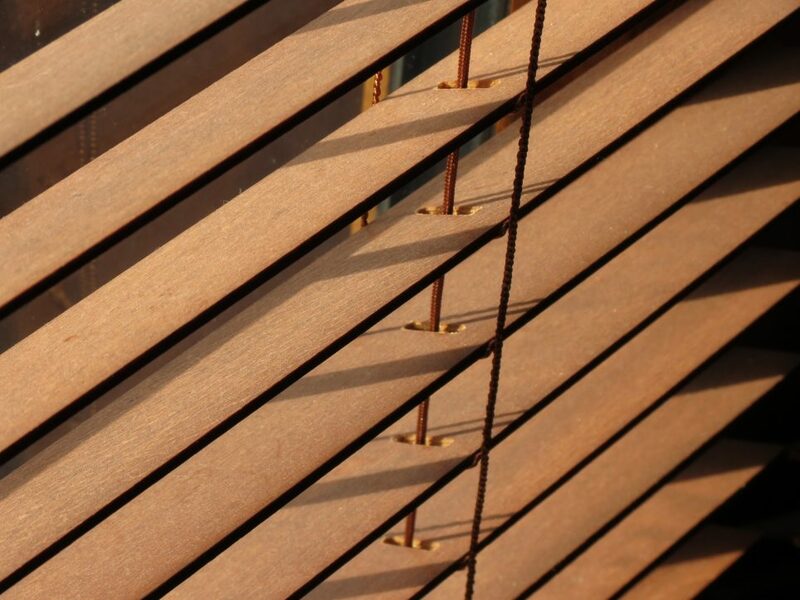 Wood blinds come in a variety of colors, stains, and wood types. They’re popular because of their warm elegance and their insulating quality. In warm seasons and climates, wood blinds are energy efficient because they keep the sunlight from getting into your home. High-quality wood blinds can last anywhere from 5-7 years. But, if installed in an area where there’s a lot of humidity or moisture, they’re vulnerable to warping, splitting, and cracking. The wood vs. faux wood blinds debate exists for this very reason. Faux wood has the elegance of real wood without all the maintenance. Faux wood is a composite made from PVC and wood components. They can get installed in areas with higher humidity and moisture without warping which allows them to last longer. Bamboo blinds are eco-friendly and very durable. Natural bamboo thrives in wet conditions, so you won’t worry about them warping in a humid climate. They cost about the same as wood blinds but will last longer. Most of the cheap blinds you see for R150-R400 are plastic or aluminum. These materials warp, break, bend, chip, and crack. Unless you take immaculate care of them and never touch them, they won’t last for longer than two years max. All the components in quality shades from the mounts to the cords are better quality. This leads to the workmanship of the blinds being better too. Cheaper blinds have cords that fray or beaded plastic that breaks. The wands are also cheaper and detach from the blinds. With better assembly comes longer lasting window treatments. Quality blinds come in many styles and materials that enhance the beauty of your home for years to come. If your only question now is which quality blinds should you choose, we can help. Viz Blinds has been in the industry for more than 13 years. We’re dedicated to providing you with expert knowledge and the highest quality blinds. Contact us today and let us send you a free quote.